November 2 marks 100 years since the Balfour Declaration – the colonial-era document that paved the way for the creation of Israel. But is the centenary a cause for celebration, or is it high time for an apology? In November 1917, at the height of the First World War, Britain’s then-Foreign Secretary Arthur Balfour issued a 67-word declaration that would shape the Middle East for a century to come. As the Ottoman Empire, in alliance with Germany, began to crumble, Britain and France eyed the spoils of war. Among the pickings was Palestine. 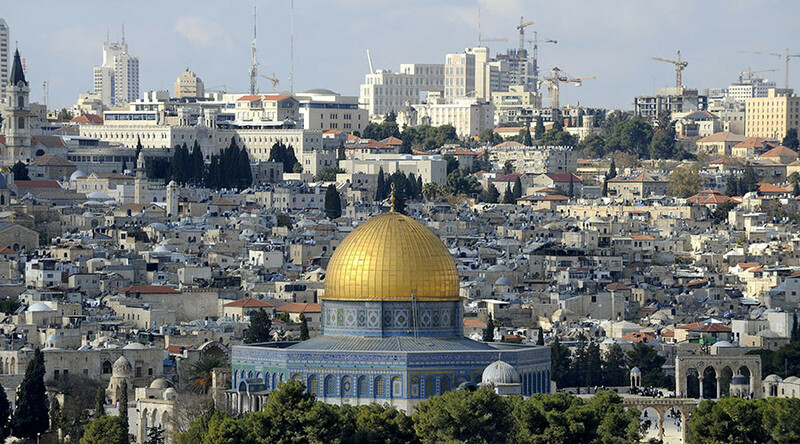 Spread across the strategically coveted eastern Mediterranean, the region is home to some of the most fertile land in the Middle East and many of the holiest sites of Judaism, Christianity and Islam. In a letter to Lord Walter Rothschild, a prominent Zionist of his day, Balfour declared Britain’s support for the establishment of “a national home for the Jewish people” in what would later become the State of Israel. Although the declaration itself was not legally binding, and Britain’s handling of its mandated territories in Palestine after 1920 can be blamed for weakened Arab opposition, Balfour’s symbolic role in Israel’s national story and the fate of the indigenous Arab population leaves a deeply divisive legacy 100 years on. Simon Johnson, chief executive of the Jewish Leadership Council (JLC), says British Jews should feel proud of the UK’s role in the creation of Israel – today a key regional trade and security partner. “For the British Jewish community it’s a very significant anniversary,” Johnson told RT. Johnson and the JLC have thrown their weight behind Balfour100 , a website and events series aimed at celebrating Britain’s role in the creation of Israel. “What we want to do is recognize and present the proper story of the Balfour Declaration, put it in its proper historical context, and we’re very happy to debate with people what else might have been the impact from it,” he said. Ahead of the 100th anniversary, pro-Palestinian groups launched a petition calling on the British government to scrap plans to celebrate. They argue Prime Minister Theresa May should instead use the occasion to issue an apology. Johnson echoes the Foreign Office position. 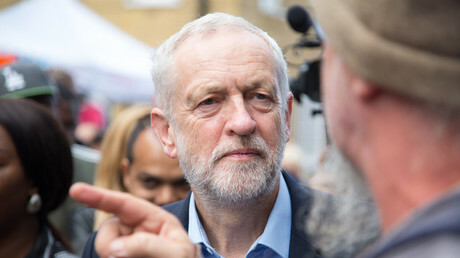 He says those calling for an apology have misunderstood the historical role of the declaration, and warns that denying the State of Israel its right to exist could be construed as anti-Semitism. “I actually think the government’s response is absolutely right. Things that have happened in the past have happened, the government is rightly proud of the role the British government played in the creation of [the State of Israel], but is rightly now looking to the future and to a long-term and lasting, just peace based on two states for two peoples. “I think the call for an apology is fundamentally wrong because it’s a misunderstanding of what the Balfour Declaration did … If you’re asking the government to apologize for a non-binding document that ended up leading to the creation of the State of Israel, what you might be saying, some people might be saying, is that they don’t believe there should be a State of Israel. One of the groups calling for an apology is the Palestinian Return Center (PRC). It argues that government plans to celebrate the centenary will damage the peace process and whitewash Britain’s colonial past. “This is not a new response that we’ve heard from the British government,” PRC spokesman Pietro Stefanini told RT. Stefanini warns that Palestinians will be deeply offended if any kind of commemoration takes place. “Marking it with pride is basically the same as celebrating for the Palestinian diaspora. 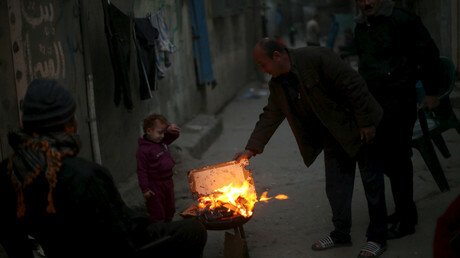 And I can tell you, Palestinians feel very offended by the plans that this government, after a hundred years, that they have been suffering in refugee camps, been occupied, while they are still without any right to self-determination, that this current government would make any sort of plan to celebrate. It would be a gross oversimplification to suggest all British Jews hold the legacy of Balfour with equal reverence. In fact, acknowledging the wider shades of opinion among the community could nourish the spirit of compromise that may nudge the peace process forward. Jews for Justice for Palestinians, for instance, offers one such a perspective. The group’s parliamentary and diplomatic liaison officer, Arthur Goodman, says the government’s response to the Balfour apology petition is a skew on British history. “In reality the British government shouldn’t be particularly proud because, more than the Balfour Declaration itself, the way they ran it, in the Mandate, was very detrimental to the Palestinians,” he said. What would an apology actually achieve? “Very little. In fact, if that’s all the government did, but didn’t actually help the Palestinians create a state, then it would just make Palestinians and Arabs even more convinced that the British government, among others, was being very hypocritical,” said Goodman.